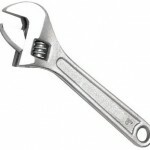 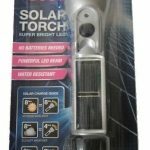 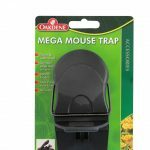 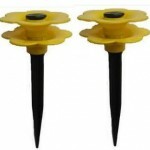 Category: Outdoor/Garden. 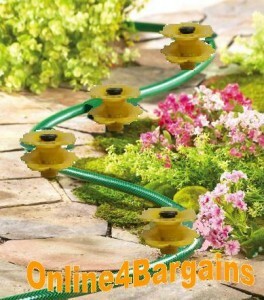 Tags: gardening, plants, water hose. 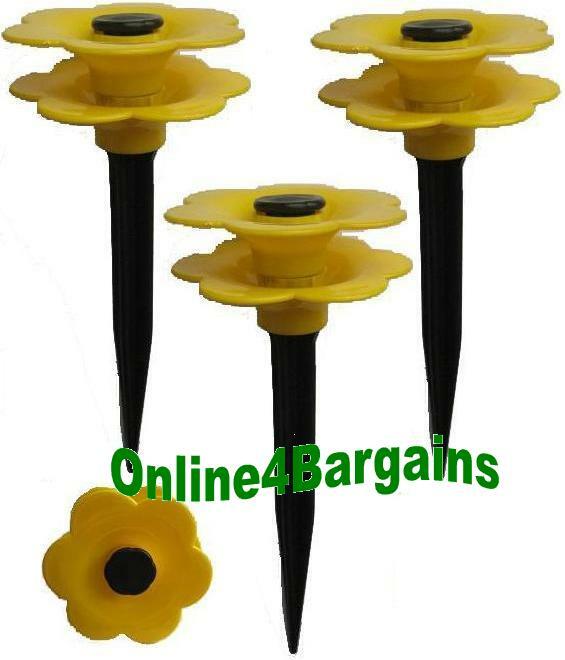 Daisy Stakes 4x Daisy Garden Hose Guides..Protect your flower beds & plants from garden hose damage during watering season with this set of 4 yellow Daisy garden hose pipe guides.These hose pipe guides will add a touch of charm to your lawn and garden while protecting your plants and allowing you to maneuver around your garden easily without getting the hose pipe stuck or caught. These garden stakes will guide your hose smoothly as you pull it to the next watering spot protecting your garden and shrubbery from the hose, will also reduce the risk of damaging plants & flowers as they guide the hose Pipe around obstacles when placed strategically in the Garden. 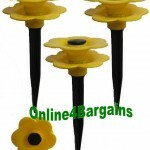 Be the first to review “4 Yellow Daisy Hose Pipe Guides Lawn Protector” Click here to cancel reply.